Casa Boa Vista is a large six bedroom villa situated on the side of a mountain overlooking the valley of the river Lima. Approximately half way between the ancient towns of Ponte da Lima and Ponte da Barca we offer clean, comfortable and spacious Bed and Breakfast accommodation to discerning people seeking quiet and peaceful holidays and offers pursuits in golf, painting, walking, bird watching, wine tasting cycling and other similar hobbies. Close to the Peneda-Geres national park and the Moinhos da Parada nature trail, the area offers superb facilities for walkers and nature lovers, while the golf courses at Ponte da Lima, Esposende, Amarante, Estela and Porto offer a challenging tour to golfers. Northern Portugal is rich in flower and fauna and the bird life is second to none. Our artist guests have found a variety of locations and subjects. Your hosts, Sheila and Michael Lake, have had many years experience in the catering trades and have previously had businesses in the Northern Alentejo and Central,(Coimbra) areas of Portugal and have previously enjoyed the Hotel, restaurant and pub trade in the UK. Casa Boa Vista has large airy , en-suite bedrooms and can provide family accommodation in one room with the addition of extra beds. Our bedrooms have either double or twin beds. The tariff includes a buffet style continental breakfast. We have a private swimming pool and an honesty bar is available. Double or twin en-suite rooms. No experiences yet with Casa Boa Vista. Be the first! Did you stay in Casa Boa Vista? Let us know what you thought about it and help others to make the right choice! * I confirm having stayed in Casa Boa Vista. 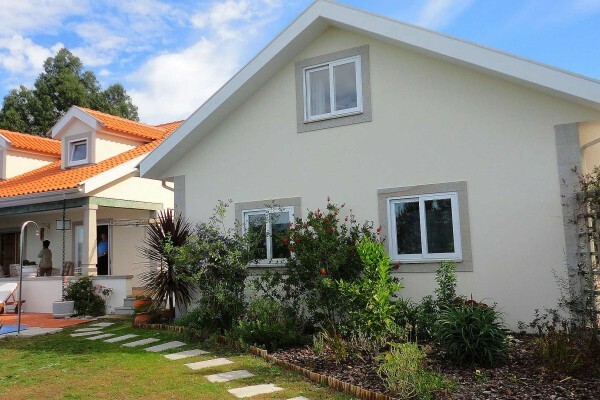 Find other bed & breakfasts in Ponte da Barca or all bed & breakfasts in North Region.